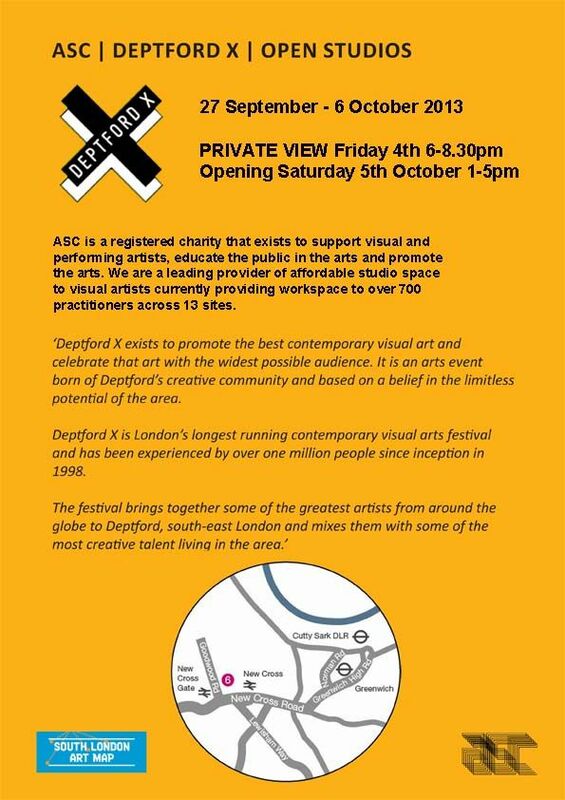 Private View - Friday 4th October 6-8.30pm Opening Saturday 5th October 1-5pm ASC is a registered charity that exists to support visual and performing artists, educate the public in the arts and promote the arts. We are a leading provider of affordable studio space to visual artists currently providing workspace to over 700 practitioners across 13 sites. 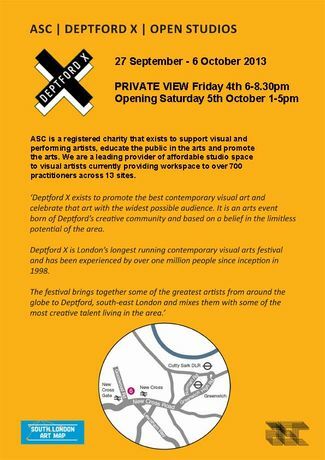 Deptford X exists to promote the best contemporary visual art and celebrate that art with the widest possible audience. It is an arts event born of Deptford's creative community and based on a belief in the limitless potential of the area. Deptford X is London's longest running contemporary visual arts festival and has been experienced by over one million people since inception in 1998. The festival brings together some of the greatest artists from around the globe to Deptford, south-east London and mixes them with some of the most creative talent living in the area.